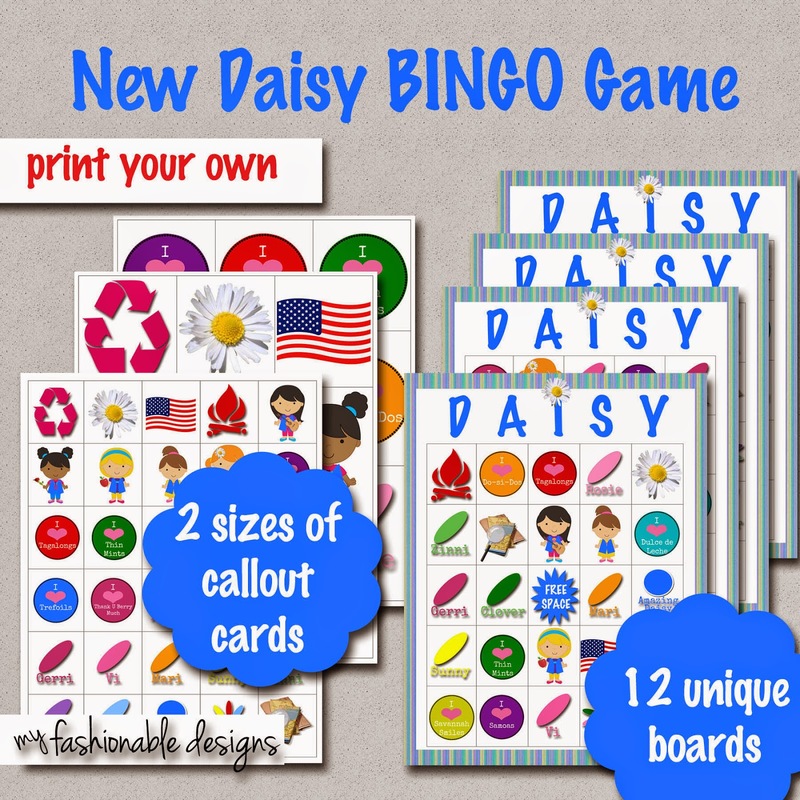 My Fashionable Designs: Girl Scouts: DAISIES BINGO GAME!!! NEW VERSION IS READY!!! I revised my BINGO game a little, but the new version is now available in my shop!!! Enter coupon code TAKE2 at checkout for $2.00 off!!! (Other levels are coming soon...contact me for details). Hey Jamie! Thanks so much for all you do for Girl Scouts. 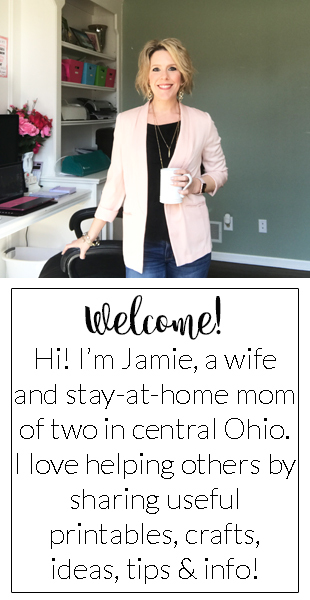 I love your printables and love that most of them are free! :o) Even so, I had to buy this Bingo game and I can't wait to play it with my troop at our first meeting back! I wonder if you would consider making a couple of other things. I have always wanted a printable teacher note saying its Daisy day and the girl will be staying after school for meeting. Also, a small one of the same idea that I could turn into a button to put on the girls' backpacks to remind them it is Daisy day. What do you think? Thanks again!! Yessssss I LOVE those ideas!!!!!! So great!!! I'll send you some examples, let me know what you think, then I can post them here for others to use too!